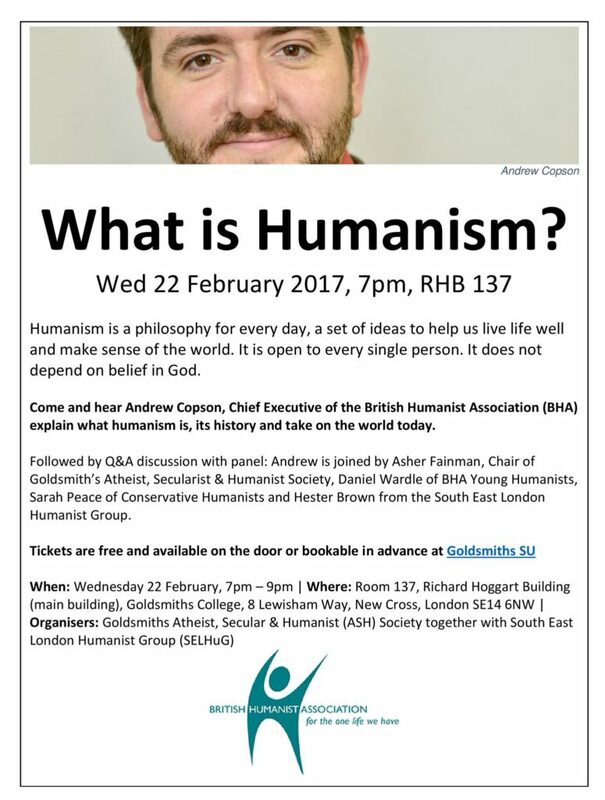 Conservative Humanists will be present to contribute to a discussion on “What is Humanism?” at Goldsmiths, University of London, alongside Andrew Copson of the British Humanists Association, BHA Young Humanists and South East London Humanists. Tickets are available from GoldsmithsSU. The event is organised by the Goldsmiths Atheist, Humanist and Secular Society.